“No time for thyroid drama,” is a common cry from anyone suffering with thyroid problems. Indeed, the thyroid gland’s condition is mostly ignored by many people. Most might people think this butterfly-shaped organ situated at the base of the neck doesn’t have equal weight with other organs like the kidneys, liver, heart, and lungs. But the small thyroid gland has a big role to play in many bodily functions that keep your organs in full swing. It releases hormones into the bloodstream playing a vital role in development, metabolism and growth. Let’s take a closer look at how it works and using essential oils for thyroid support. Are you always experiencing chronic stress? Well, it’s time to get your thyroid gland into gear because stress can gravely impact your thyroid through autoimmune attacks. This happens when the body attacks its tissues – including the thyroid gland – causing Graves’ disease or Hashimoto’s thyroiditis. Graves’ disease or overactive thyroid (hyperthyroidism) causes the gland to produce excess thyroid hormones. This triggers a range of symptoms including anxiety and nervousness. Hashimoto’s thyroiditis or underactive thyroid (hypothyroidism) does the opposite. It occurs when the body releases fewer thyroid hormones leading to weight gain, lethargy, and depression. It’s critical the thyroid gland releases the optimum levels of thyroid hormones to keep the body functioning in a healthy condition. When our body is stressed, the adrenal gland (located on top of your kidneys) releases cortisol to cope with the body’s diminishing functions. But sadly, these glands can only handle minimal stress. Well, your thyroid gland works hand in hand with the adrenal gland. In turn, your thyroid under performs during this situation. If the thyroid isn’t releasing a good amount of thyroid hormones, this slows down your metabolism and affects other bodily functions. Essential oils and thyroid? Hmmm…doesn’t sound like a match made in heaven but IT IS! Essentials oils are adopted for many beneficial reasons not only for stress relief. Some essential oils contain components that help treat thyroid problems. So without further ado, here are five of the best essential oils for naturally supporting your thyroid. I’m sure this oil rings a bell. It has been widely used to treat several body conditions. 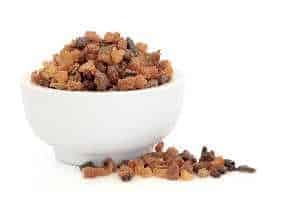 Extracted from the Commiphora genus trees which are abundant in North Africa and the Middle East, Myrrh oil is pretty versatile. It is used in food flavoring, perfumes, mouthwash and fends off infections. However, one important compound of Myrrh is terpenoids. These are robust antioxidants that have countless anti-inflammatory properties. Mix six drops of Myrrh oil with 15 ml of any carrier oil. Slather some on the neck area. Use daily. Stress directly affects the body’s immune system which then triggers the thyroid gland negatively. One major benefit of Ledum oil is that it enhances the body’s immune system. It keeps the thyroid balanced by releasing a good level of TSH (thyroid-stimulating hormone) due to its anti-inflammatory, anti tumor, and anti-microbial properties. Mix six drops of Ledum oil with 15 ml of any carrier oil. Slather some on the neck area. Use at least once a day. People use Frankincense oil to expedite wound healing or improve hair follicles. But a great connection to the thyroid gland is because of the sesquiterpenes and monoterpenes that are said to have anti-cancer and antioxidant properties. Frankincense oil contains boswellic acids that prevent leukotrienes production – compounds that trigger inflammatory responses. Mix two drops of Frankincense oil with 10 drops of any carrier oil. Slather some on the neck area. Use once or twice daily. 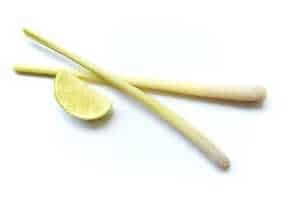 Lemongrass is well-known for plenty of benefits such as treating hair loss, curing infections, promoting good digestion, and fighting inflammation. When it comes to thyroid problems, its analgesic and anti-inflammatory properties are important. This oil basically fixes connective ligaments and tissues, boosts blood circulation, and opens up blood vessels. Mix three drops of Lemongrass oil with 15 mL of any carrier oil. Slather some on the neck area. Use once a day. Derived from the clove plant bud, this oil has more antioxidant properties than most of the vegetables, fruits, and other spices! It has an ORAC (Oxygen Radical Absorbance Capacity) score of around 1,000,000 which means the antioxidant elements in Clove oil is sky-high! Clove oil supports overall bodily functions and allows the different glands to “communicate” thoroughly. Mix six drops of Clove Oil with 15 mL of any carrier oil. Slather some on the neck area. Use once a day. All of these oils can also be used in a diffuser and inhaled for therapeutic benefits. They can also be combined into blends e.g. 3 drops Myrrh, 3 drops Clove for variety. The thyroid gland plays a crucial role in maintaining the TSH (thyroid-stimulating hormone) levels in the body. 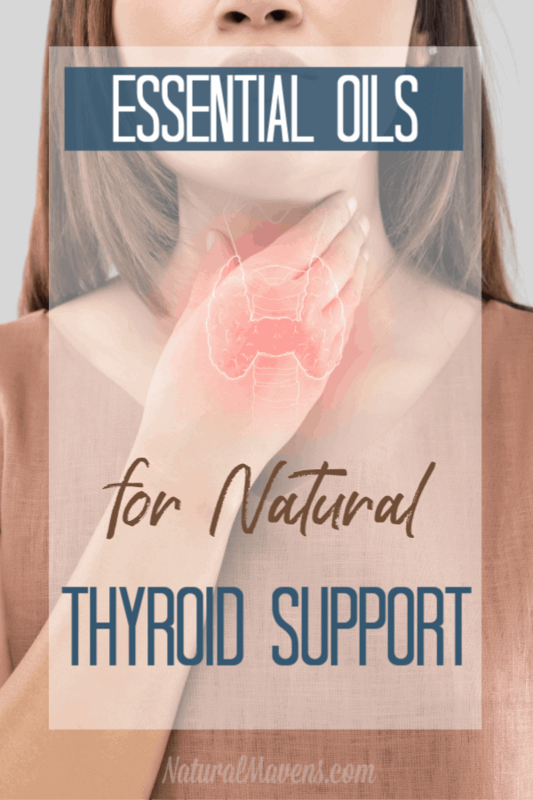 Essential oils offer a simple and easy way to prevent the early onset of thyroid problems and treat underlying thyroid conditions as well. And the best part is, they’re readily available! Guest Post Author Bio: Jason Brooks, driven by the passion for blogging, writes about health, beauty, fashion, food, travel and more. He loves to spend his time travelling. He also blogs at KemperMedical, one of the leading national and global distributor of premium medical products including radiation protection products and radiology/ medical imaging supplies.